2017 has well and truly arrived. It’s time to shake off those January blues and begin the year right. Starting with your hair. 2016 brought us Victoria’s Secret angels strutting down the runway rocking natural fros, Solange reminding us to let people know they can’t always touch our hair and Pinterest announcing ‘natural hair’ as one of the most searched for tags on the site. 2017 is set to be the year of the ‘fro and we’re here to make sure you’re up to date with the newest hair trends to rock your ‘do in the way that’s right for you! Most noticeably the iconic symbol of black power and the Civil Rights Movement, the free fro is your hair in its most natural state. This look is straightforward and can be achieved quickly by utilising a wash n go process. Use your favourite moisturising conditioner to make sure hair is thoroughly hydrated before massaging in oil and drying. The best way to get a full afro is to use an afro pick to pick out your hair upwards away from the scalp, working your way from the ends to the root. Afro picks have been used for centuries within the black diaspora to maintain and style hair and they will continue to be staple items for years to come. 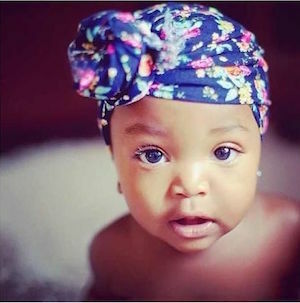 Using a headscarf for styling purposes is not a new trend for black women but has garnered more attention in recent years as mainstream black culture continues to fully embrace our African roots. Although predominantly used for protection whilst sleeping, using a silk scarf or turban in the day is fantastic extra to any natural hairstyle. 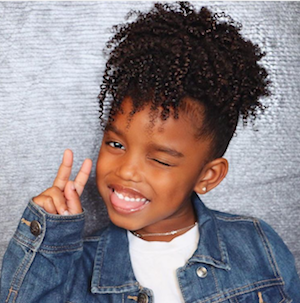 They can be wrapped completely around your hair, tied in a knot or act as a band to accentuate puffs, and best of all; they can be worn at any age, even Teyana Taylor’s daughter has her own range! 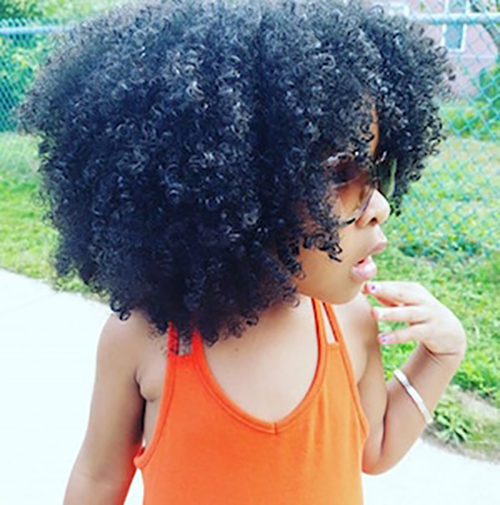 Keeping afro hair at a short length has allowed many young boys to escape a lot of the societal pressures enforced on girls where natural hair is concerned. However as the natural hair movement has excelled, boys too are more than ever embracing the versatility of their locs. 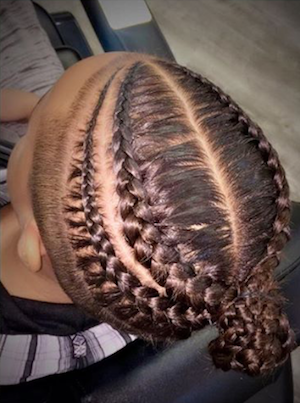 With stars such as The Game, Omarion and Quincy Combs combining high top cornrows with fresh fades these are a perfect choice for any boy ready to welcome a fresh new style. If you feel like adding some extra curl definition to your natural fro, it’s much easier than you think and best of all – most of the work is done whilst you sleep! Braid outs are achieved by wetting hair, applying leave in conditioner and oil and braiding down your locs. Put on your bedtime headscarf and when you wake up simply undo the braids, fluff out your hair with your fingers and style. 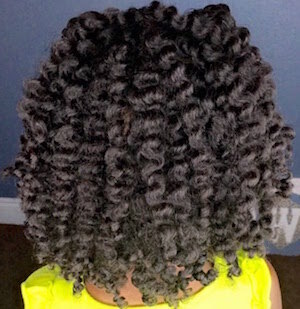 Twist outs use the same initial steps as braid outs but require a two strand twisting technique. This can be time consuming but is a great style to combat natural frizz and if twisted tightly enough can be left in the style for days. Perm rods are the most versatile way to achieve different curl definitions, with different sized rods offering jumbo, little, tight and loose options. Follow the liquid, leave in and oil process before twisting your hair around your fingers to get the initial curl and then wrapping the hair around the rod. The most important part of this process is drying your hair. May sure you pay attention to drying every inch before unravelling otherwise damp strands will frizz and not set properly. Flexi rods are a great heatless alternative to stretch natural hair and create defined curls. They follow a similar method to perm rods but are made out of foam meaning they are bendable and non restrictive. Previous PostHappy Birthday Mini Manes!